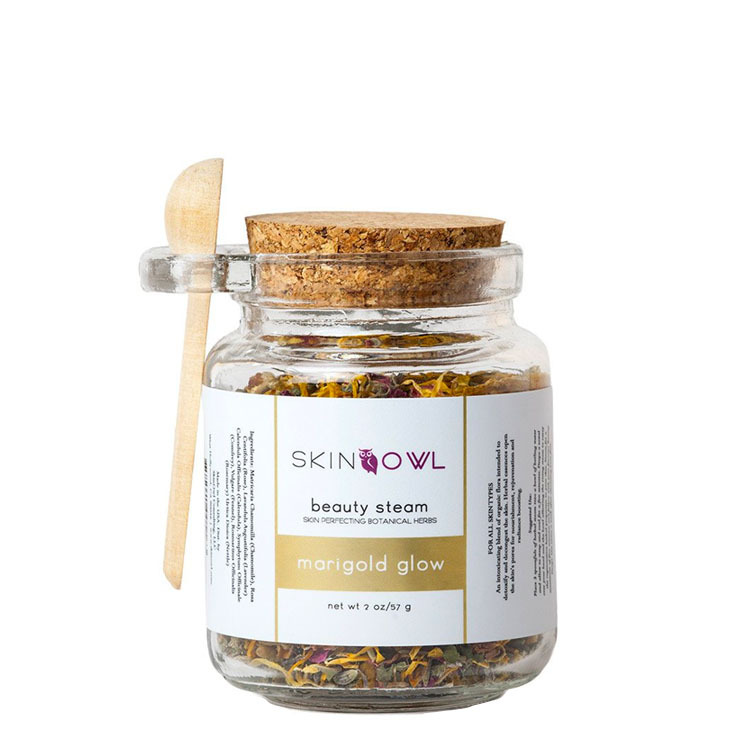 Harvested sustainably from an organic family farm in the U.S. at their peak, the Marigold Glow Beauty Steam by SkinOwl is a blend of herbs and flora that inspires the ritual of skincare as self-care. 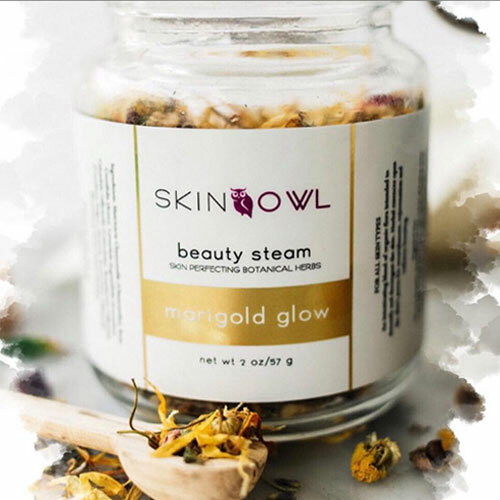 Skin steaming has a layered effect, offering a feel of detoxification and decongestion to the skin, while imparting a healed and nurtured appearance, as well as diminishing feelings of stress, anxiety and restlessness. An at-home face steam is a simple yet profound self-care ritual. Fill a large metal, glass or ceramic bowl with boiling water. Add 2 Tbsp. Beauty Steam and cover loosely with a towel, allowing the oil to steep like a tea for 2-3 minutes. Place your face over the bowl and cover your head and bowl with the towel. Breathe deeply for 3-5 minutes or as long as you're comfortable while the steam gives skin a clean and clear quality. 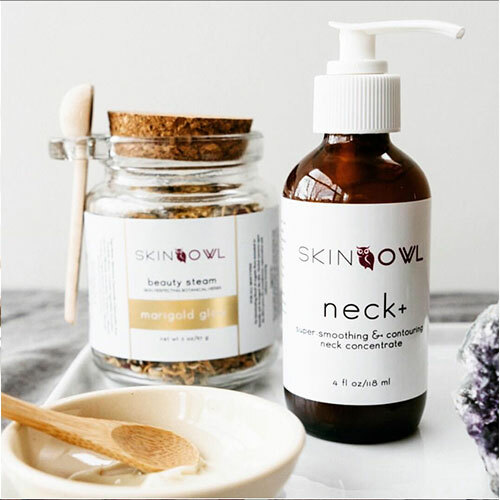 For added skin toning and hydration effects, saturate a clean washcloth with the warm herbal water and compress it on the chest, neck and face.